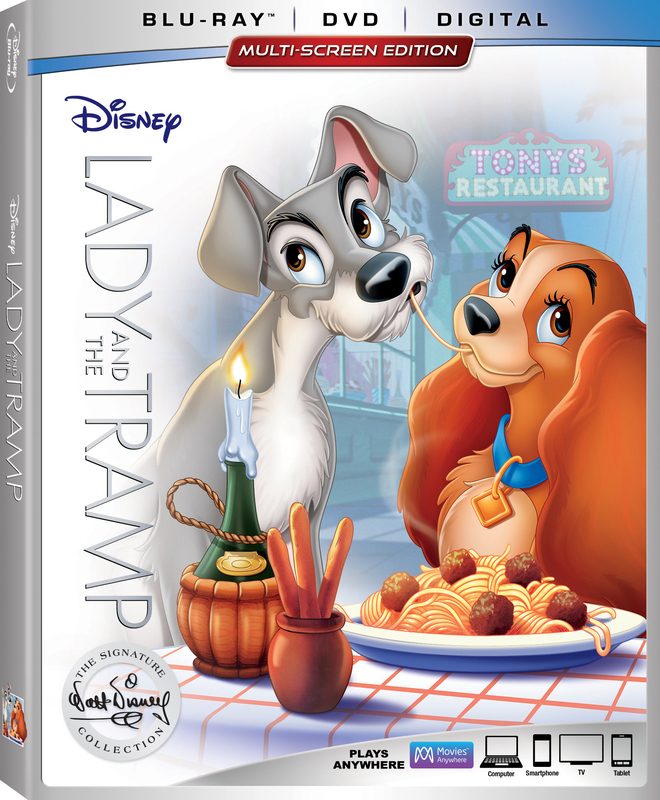 This Disney animated classic follows a pampered cocker spaniel named Lady (Barbara Luddy) whose comfortable life slips away once her owners have a baby. When, after some tense circumstances, Lady finds herself on the loose and out on the street, she is befriended and protected by the tough stray mutt Tramp (Larry Roberts). A romance begins to blossom between the two dogs, but their many differences, along with more drama at Lady's household, threaten to keep them apart.